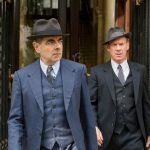 After two series (four episodes total), ITV has announced a cunning plan that makes about as much sense as one of Baldrick’s in revealing that there are ‘no current plans’ for more episodes of Maigret, starring Rowan Atkinson. It’s not like there isn’t enough material to base additional episodes on as only 4 of author Georges Simenon’s 75 novels featuring the character were adapted: Maigret Sets A Trap, Maigret’s Dead Man, Maigret At The Crossroads, and Maigret In Montmarte. 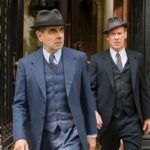 Set in 1950s Paris, the Maigret reboot, which returned to the small screen in 2016, was visually stunning and Atkinson is brilliant. Given his trademark pipe, iconic heavy coat, a fondness of fine alcohol and reliance on godlike intuition in solving cases, the character of Jules Maigret is frequently referred to as the Sherlock Holmes of France. Having first appeared in print in 1931, Maigret is the creation of Belgian author Georges Simenon who wrote 75 Maigret novels and is considered one of the greatest writers of the 20th century, selling around a billion books worldwide to date. Simenon’s Inspector Maigret stories are not new to television audiences. As early as 1959, Jules Maigret hit the small screen in a major way with Rupert Davies starring as the fictional detective. The most recent and, perhaps, the more famous adaptation was the 1992-93 ITV series starring Michael Gambon which lasted 12 episodes and ran on PBS as part of the Mystery! series. 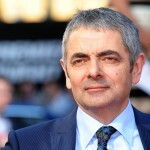 For those that only remember Atkinson from his comedic roles in Blackadder, Thin Blue Line and Mr. Bean, his periodic appearances for Comic Relief or for his more recent feature films as Johnny English, erase the notion from your mind palace that this isn’t going to work. It does and it’s brilliant. When Atkinson signed on for the title role as the insightful detective, he said: “I have been a devourer of the Maigret novels for many years and I’m very much looking forward to playing such an intriguing character, at work in Paris during a fascinating period in its history“. 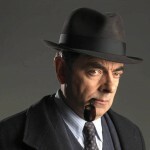 Maigret, starring Rowan Atkinson, is currently broadcast on a number of public television stations in America. 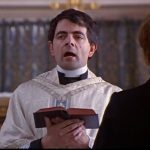 ‘Maigret’ + Rowan Atkinson = stunning! Oh, I’m so disappointed. 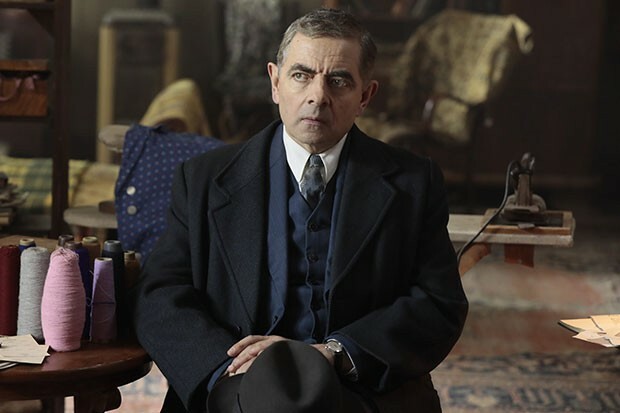 Rowan Atkinson was brilliant as Maigret. Some say he didn’t physically fit the part. Phooey on that criterion. What Atkinson did perfectly was Maigret’s mood and intense inner speculating about a crime. His relationship with his wife was also wonderful and an added perk that prior Maigret’s didn’t quite pin. I don’t think we ever see Bruno Cremer’s wife and Gambon is just plain crabby as Maigret. But Atkinson is a Maigret one warms to, admires as a humane, intelligent Inspector, and as a good man. 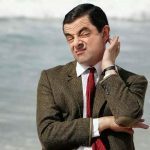 ITV, why did you not see how well-liked the series was! You renew crap but cut this. Crikey! I finally find a new mystery series only to find that it will not be continued!!! This series is absolutely wonderful and Rowan Atkinson as Inspector Maigret is perfect! This is high quality, very serious entertainment – please reconsider making more episodes!!! Excellent series! Terrible decision to cancel! I add my disappointment upon learning there will not be season 3. WTH is wrong with producers to cancel a hit series? D*mn it.